The University of Wisconsin student organization Al-Awda (Palestine Right to Return Coalition) began a campaign to convince faculty senates across the UW System to pass resolutions calling for divestment of funds from organizations selling arms and equipment to the Israeli military. So far the group has visited both UW-Platteville and UW-Whitewater and convinced the former to pass the resolution. According to UW teaching assistant and Al-Awda member Mohammed Abed, the group is an international organization working to educate and improve the rights of Palestinian refugees expelled when Israel was founded in 1948. Abed said UW investment in companies such as Raytheon, Northrop-Grumman, Caterpillar, Boeing, Lockheed Martin and General Dynamics should stop. According to Abed, the investment should stop, since Israel is guilty of committing serious human-rights violations, and individuals need to also understand the current political turmoil in Palestine. Still, UW’s divestment from companies providing tools for the Israeli military may not garner much support. In a Dec. 15 letter from UW Board of Regents Business and Finance Committee Chair Mark Bradley to Al-Awda, Bradley wrote even if Caterpillar, Inc. were not allowed to supply bulldozers to the U.S. government to turn over to the Israeli military, bulldozers could be generated from other American companies. “Thus, we believe that divesting, even if it could result in Caterpillar ceasing to supply Israel with bulldozers, would have no impact on halting the practices of the Israeli army,” the letter read. Others disagree with Al-Awda’s decision to campaign across the UW System. Hillel Executive Director Greg Steinberger said he did not think the campaign held merit, since Whitewater’s decision was struck down by a two-thirds majority. Steinberger added UW-Platteville’s situation was unfair, since the only opposing viewpoints presented to the committee were presented in a single presentation from a Jewish group in Dubuque, while Al-Awda had the benefit of three presentations to the UW-Platteville faculty senate. American companies should not be held liable for what Israel is doing overseas, he added. “The Israelis buy the bulldozer, and then they retrofit it. That doesn’t mean Caterpillar is to blame,” Steinberger said. 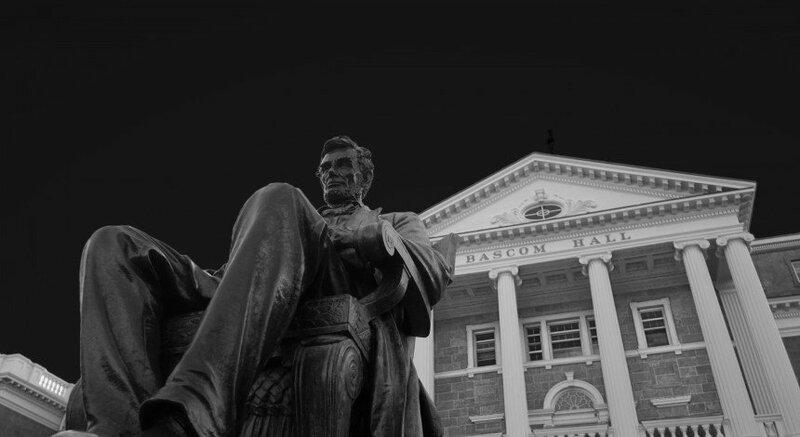 According to UW professor of political science and faculty senate member Donald Downs, the resolution has not reached the Madison faculty senate. Still, Abed points to the similarities of this situation to a 1980s UW case in which the UW System Board of Regents pulled support out of South Africa during apartheid.